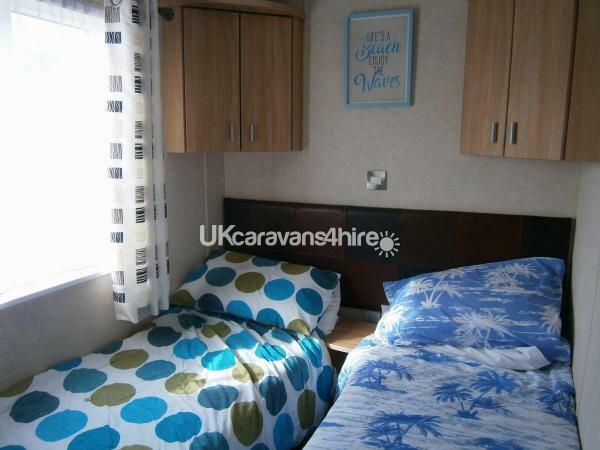 Additional Info: We have recently upgraded our caravan. 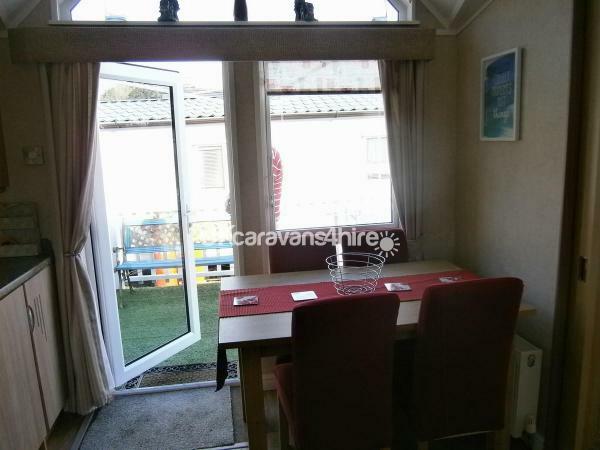 We now have decking to the side of the caravan, which has a patio table and 6 chairs, umbrella for shade and a bench and decking to the front through patio doors. 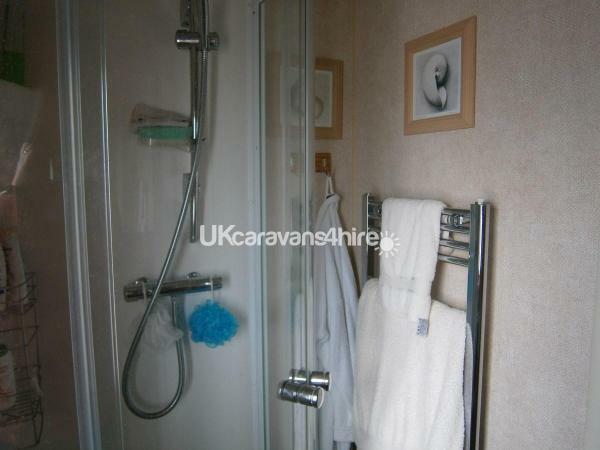 There is also a dishwasher in the caravan and the Master bedroom is en-suite, which means we have two toilets in the caravan. A Deposit of £100 will be required to guarantee your booking with full payment to be made 21 days prior to commencement of the holiday. A Bond of £100 will also be required this will be returned if no damage is found. 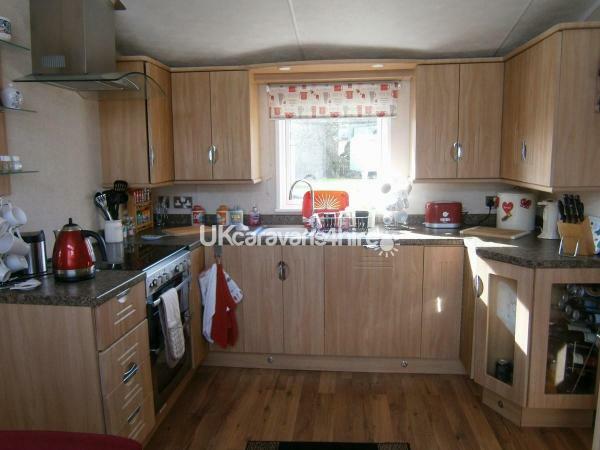 This is a family owned caravan. 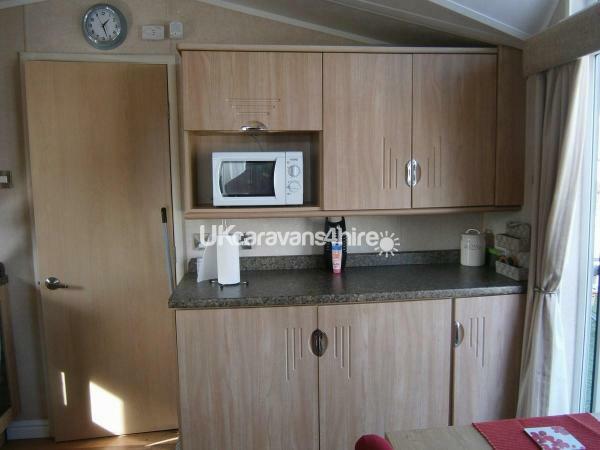 The caravan has a fully equipped kitchen including a dish washer, and a dining table seating 6, with bedding and towels supplied. 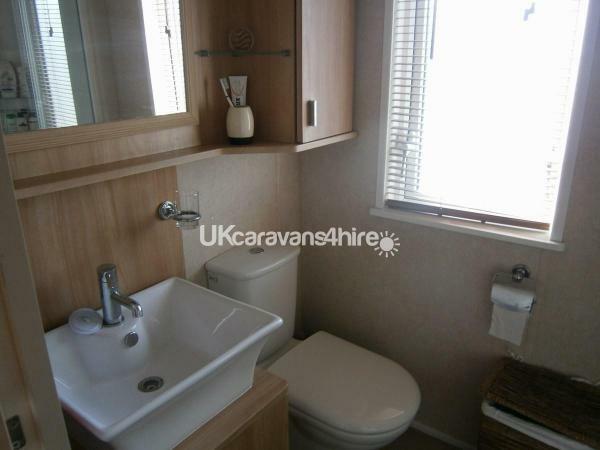 There is a family bathroom with shower and an en-suite toilet with the master bedroom. 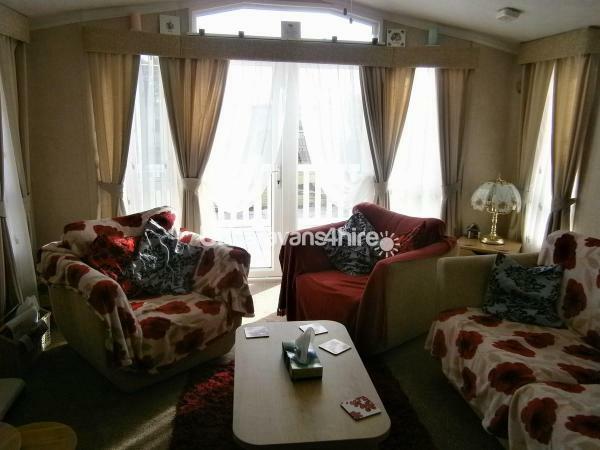 There is decking to the side of the caravan and decking to the front of the caravan through patio doors. It is situated within 10min walking distance of the beautiful 7 mile beach with plenty of facilities on and off site. 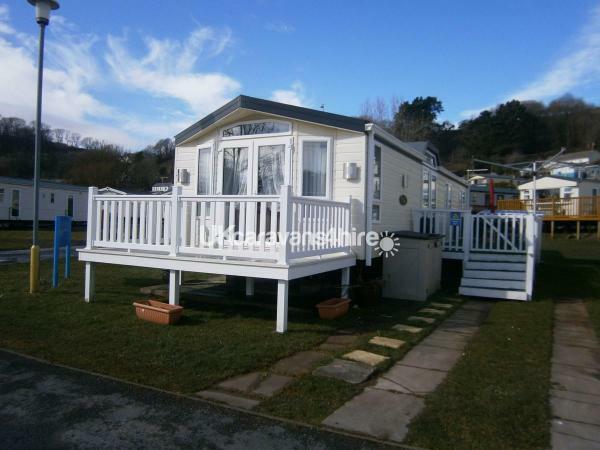 If you are looking for a quiet away from it all holiday then Pendine Sands Holiday Park is the place for you. It is also a very good base if you wish to visit the surrounding coastal areas and local attractions such as Folly Farm, Botanic Gardens, Aberglasney Gardens, golf courses in Tenby and Cardigan and many more. We are taking weekly/fortnightly bookings only with a £100 deposit to guarantee your booking and a £100 bond, to be paid at the start of your holiday and returned to you if no damage is found. 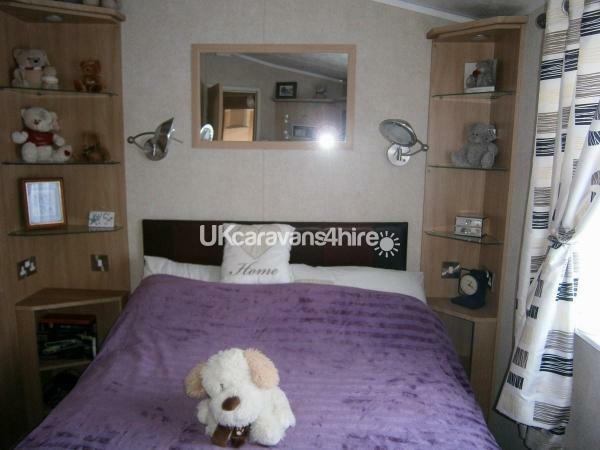 We do not allow dogs as we have only just upgraded our caravan. Here are some comments/reviews we received off customers who stayed in 2013. Myself and my family have had a great 2 weeks with lovely weather the beach and facilities are excellent and a well equipt caravan with a friendly welcome. Definitely come back." "A very warm welcome awaited us when we arrived. 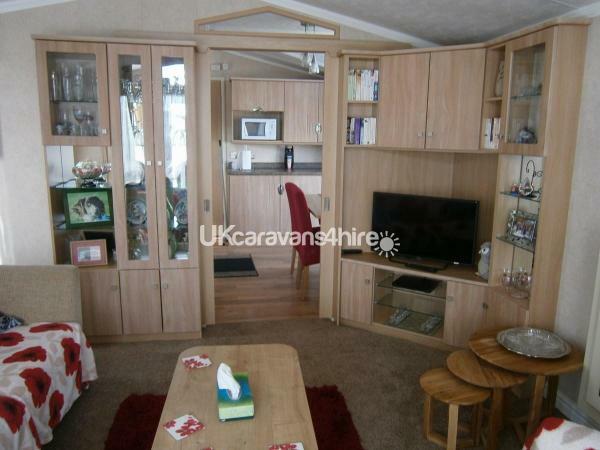 The Caravan was beautiful, my teenagers particularly liked the large flat-screen tv. 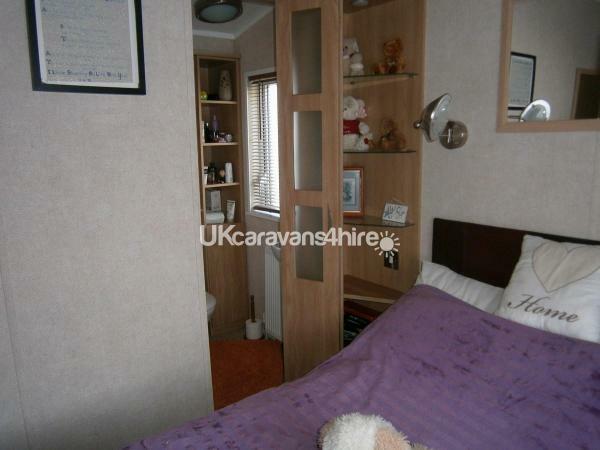 The Caravan is very well furnished and felt very homely. The site is just over the road from the beach which was fantastic as we had our dog with us. Will definitely be returning"
Made welcome and felt at home immediately. 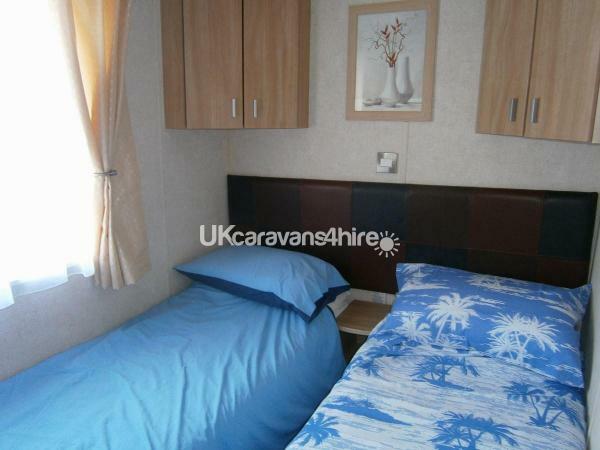 Caravan very well equipped and comfortable. Close to beach and all site and village amenities. A very enjoyable stay in a great location." Additional Info: Most facilities are accessible by using a temporary pass from the park, which can be supplied along with the booking Also a pub with sports TV and playground facilities. There are family activities on at both the "The Sands" club house and the Pub - "The Duck" There is the land speed museum situated by the beach. No reviews found. If you have recently stayed in this holiday home please leave a review, it only takes a few moments and will really help future guests when they are searching for holiday accommodation at Pendine Sands Holiday Park.